Looking for a good weekend read, or re-read? 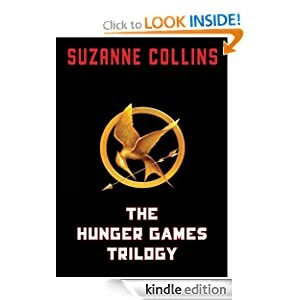 The Hunger Games trilogy is available in the Amazon Kindle Store for only $5.00. Yes, that’s $5.00 for all three books. Remember, if you don’t have a Kindle, the app is available for computers, tablets and smartphones. This dealio probably won’t last long, so grab it now! This bargain book is a limited time offer and there is no guarantee it will still be a bargain when you click on the link. Grab it sooner rather than later.